We’d all love to have a wonderful family history to pass down, but SOMEBODY’s got to get it started, right? Let’s make it easy for you. 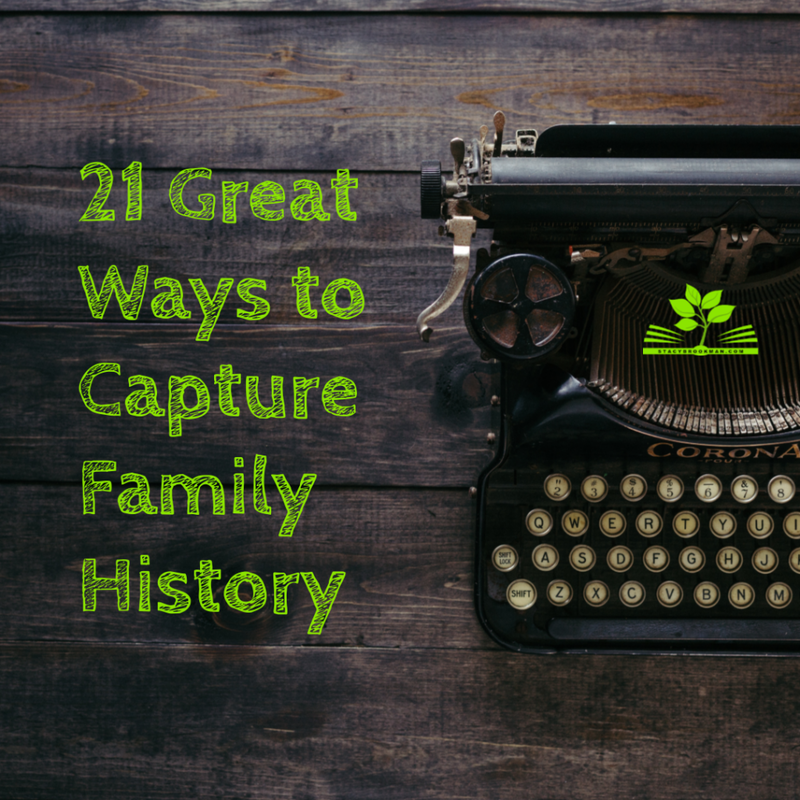 Here are twenty-one great ways to start capturing your family history….and you can begin while everyone has gathered around for the holidays this year…or even when they’re not. Hey, get the kids involved too. This is an ideal way for them to participate in a project, become more familiar with their extended family, and learn about their heritage. In fact, many people old and young want to identify with their heritage. It helps us organize our thinking about life and bond with others. Pick one of these that’s right for your family. Even if it’s just a one-time event, you’ll have memories to share. Have each person write a short paragraph sharing wisdom on a particular topic. They could share a spiritual story, a story about overcoming, life lessons or one piece of wisdom. It’s best to give everyone an idea of the length to shoot for, such as 200 to 500 words, 10 to 20 sentences, or one single-spaced page. Another way to approach wisdom, ask everyone to write a letter to their younger selves sharing life lessons or thanking their younger self for doing something. If new babies are in the family or on their way, ask everyone to write a letter to future generations or all kids under 5 to give them a specific focus. Then you can collect them all and print them for everyone. This one reveals so much insight into each person. Interview each family member and ask them what the most pivotal moment in their life so far is and why (they may need some time to think about it). Then write the story behind the moment. Sometimes the more things change, the more they stay the same. As each person matures, they tell themselves a story about the world and how it works. Ask every person the same question: What was the story you told yourself about the world when you were younger, or you could also say “coming of age”. What’s your family’s “Thing”? You know, the thing you always trade, talk about, or do when you get together? Find a way to collect and document these. 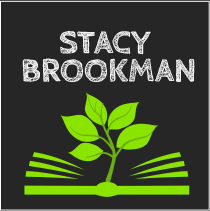 Here are some starter ideas: recipes, games, faith, politics (nothing gets people talking like giving a political opinion), occupations, quotes (and why), advice, inventions (what is available now that wasn’t when you were a child), holidays, favorite Christmas gift, family motto, and so much more. You could collect the actual items, pictures or mementos that represent the theme, or write about them. Collaboration is key here. Have each person write a three to five-page “chapter” then pass it on to the next person. Incorporate family themes listed above, or the chapter can be about the smaller family unit and reveal funny stories or insights that others may not know. Capture the moment in time and ask what’s on everyone’s playlist and why. Could you put together a recording of everyone’s favorite song? You could collect and share through a playlist, make a silly story out of all the titles, you could make a game by having everyone match the favorite song to the person. Get folks talking about what they love about the song. If you have someone really gifted, they could create a personalized family song. If writing is not a strong suit for your family, say it in pictures. Most everyone has a smartphone, and even those who don’t can have a friend or neighbor help. Have everyone take a picture of the same thing and put them together in a collage. Ideas: the family in front of their residence, a typical Friday night, food and family, all wearing the same color. You could even have everyone take a selfie! Skype is a fun way to talk to family and see their faces. They could be in different states, or just across town. One evening, Skype each member of the family and record everyone saying hello in their own way. Some computers have screen recording software built in or you can obtain free and inexpensive software online. Extra twist on the selfie. Have everyone take a selfie each week for a year and make a movie out of it. Of course, this requires weekly reminders and a bit more effort, but what a great show you will have next holiday. Each member of the family can do this whether you’re all together over a holiday or not. Take a video of each family member sharing information about themselves. Provide the same set of questions for each person. What should you capture? Start with: name, age, city/state, and their favorite activity. If you want to go deeper, ask each person to share their hobbies, their hopes/dreams, a fun story about themselves, or a personal philosophy. Lots of folks don’t have the time to do a ton of research or even answer your questions. Unless it is an itty bitty bit each week. Email a new question each week or two, then collect everyone’s answers into one document. You could share all the answers each week, or wait until the year is up and provide everyone with a bound copy. Items 1 through 6 above will give you some ideas to start with, or you could ask everyone to submit a question of their own about something they’re curious about. Have everyone create their own bucket list and compile a master family bucket list. Then cross off those items that anyone in the family has done (not necessarily the one whose bucket it’s in). Have the person write about their experience. This is fun because everyone can compare buckets and discover who has more crossed-off items. You could even use the list to plan the next family get-together. Set a schedule each Monday to have everyone share a photo and a memory, or just the memory. Every person will be different and they can be as long or as short as they’d like. The beauty of this is that because it is unstructured, many different memories may pop up throughout the year. What’s interesting about having a shared journal is that the journal is done collectively each week (or whatever set period of time you choose). Specify one person to be the journal-keeper and everyone else can email their journal entries. The journal could be on whichever topic seems appropriate for the day for each person or you could specify that it be a gratitude journal, a prayer journal, a reading journal, a travel journal, or any of hundreds of topics. Family stories don’t have to be long, they can be brief….very brief. Here you can have a family (group) Pinterest board where each family can pin their own pictures or interests. You could also create private group boards for “values”, “history”, “Christmas” or other topics and let each person add pins to each board. If you make the boards “secret” you can still invite only family members and allow them to contribute. Each person creates a stanza that represents them. To make it easy try free verse or an acrostic using their name – or everyone can do an acrostic using an ancestral last name. A little more challenging are limericks (these usually start “There was a….” and each line rhymes) or a Haiku (3 lines – 5 syllables, 7 syllables, then 5 syllables). More poetic forms are found at poets.org/poetsorg/collection/poetic-forms. Expressing family interests and values through art makes a lasting impression. Plan several months to a year ahead and have everyone make an art piece using the medium of their choosing, or record a story to tell. Each person can utilize the talent they have. If anyone feels like their artistic skills are lacking, perhaps you can schedule a session at a group painting or pottery class. Similar to a shared journal, you could encourage everyone to contribute to a shared family blog. It’s easier than ever before to start a blog for free and allow each person to contribute weekly or take turns with a weekly topic. Along the same lines as the art exhibit, the talent show allows family members to showcase their joke telling, singing, juggling, or other talents. Be sure to capture this one on film. I know, this should have been in the photo category, but I visualize this as more of a piece of art. Collect everyone’s favorite photo of themselves or a favorite photo that represents their individuality. Put them together in a collage that can be duplicated for every member of the family. And there are literally hundreds of more ways to capture your family history. The most important part? Getting started! Which way will you capture your family history?